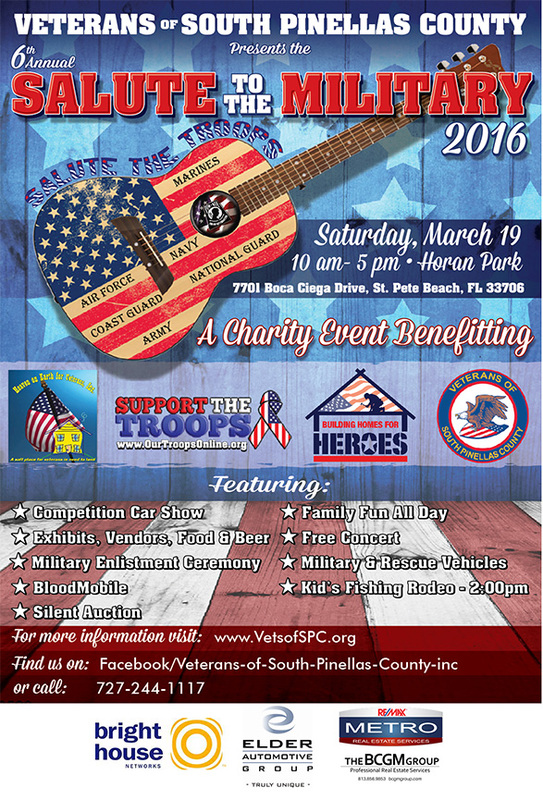 The Veterans of South Pinellas County (VSPC) will host their 6th Annual Salute to the Military fundraising event on March 19, 2016. 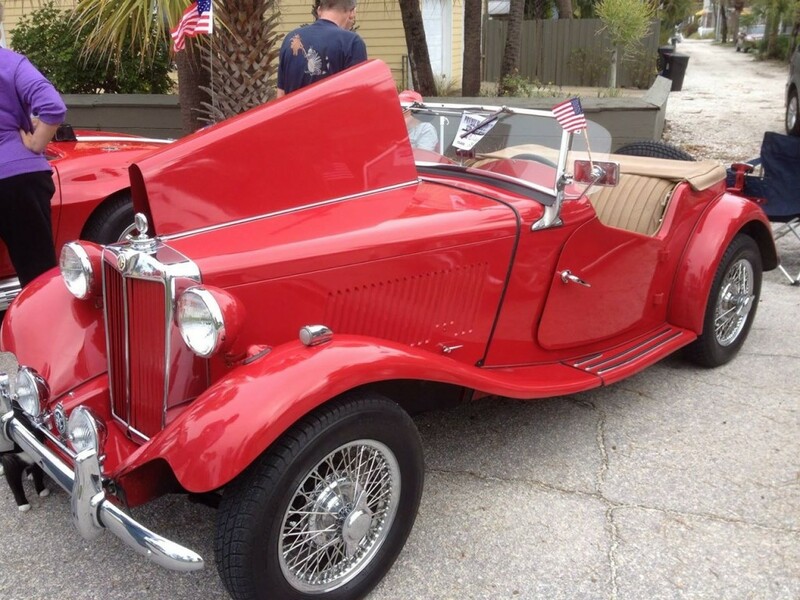 The new Horan Park venue will feature a competition car show, food, beer, wine, vendors, military exhibits and live music. The family friendly, fun day begins at 10:00 AM and will also include a silent auction, a kids fishing tournament, military vehicles, a military enlistment ceremony and the One Blood – blood mobile. There is no admission fee for the pet and family friendly event, and complimentary parking is available nearby. The VSPC is a 501(c)(3) charity organization and has given more than seventy five thousand dollars in cash and in-kind contributions to a variety of non-profit groups that support veterans. We can help lower your tax bill by becoming a sponsor, vendor or advertiser for this very worthy cause. Donations are tax deductible and as an added bonus, you’ll be supporting local Pinellas County Veterans. For general information or to become a supporter, please call 727-322-5217 or visit VSPC on Facebook at Veterans-of-South-Pinellas-County-Inc. 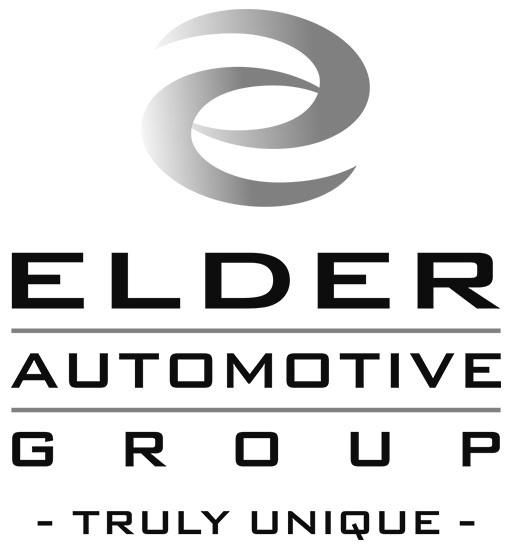 Applicants save Fifty dollars before February 18, 2016. All veteran supporters welcome.